Recently, travel expert Kendra Thornton (@KendraThornton) invited us to share our insight with her on traveling with dogs, as many of us will surely be going on all sorts of vacations in the coming months. In collaboration with Kendra, here are some of her professional tips on traveling with your dog(s), with our own professional insight added in too. When I travel with my family and dog, I try to ensure that every two-legged and four-legged family member has everything that they need for a fun, happy, and safe trip. After all, traveling in comfort can make a journey pleasurable and exciting. Interestingly enough, a family will be visiting my family here in Chicago, and they will be bringing their beloved dog. That is fantastic! I am excited to share my best dog travel tips with them, and you. Before going on the trip, there is a lot to do. 1. Microchipping: Microchipping a dog is a quick and relatively pain-free process where a vet implants a trackable chip the size of a grain of rice under your dog’s skin. Getting your dog microchipped before you leave for your trip gives you the peace of mind to know that she can be located should she ever become lost. 2. 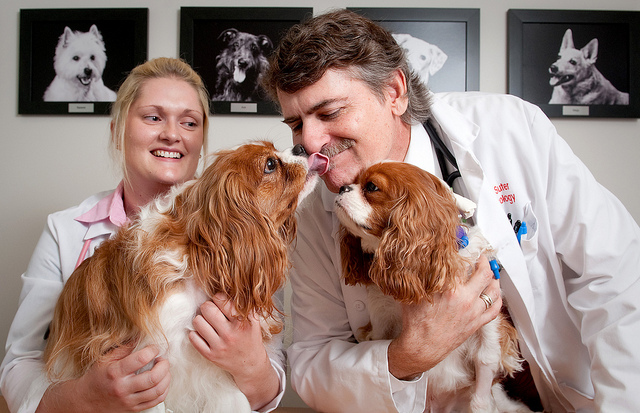 Vaccinations: Visit your local vet to make sure that all of your dog’s shots are current. Vaccinations give each of us with the peace of mind that we need. 3. Crates: Crating a dog is not something that I always like to do. 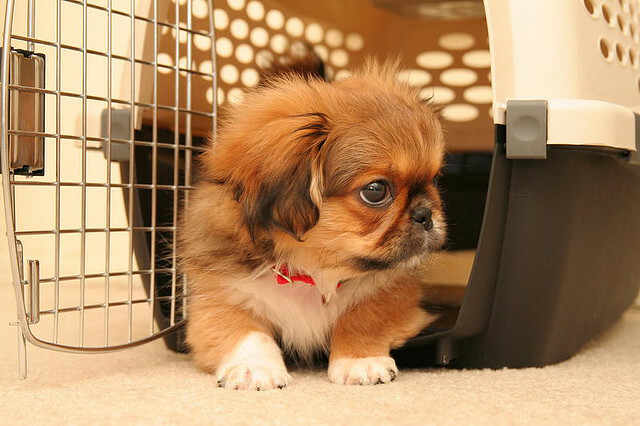 At the same time, a crate can be very beneficial as it keeps a dog safe. Our dog hated to be crated for the first time. As seasons rolled by, she began to like the crate. Today, she prefers a crate, and it gives her a sense of comfort. 4. Food & Water: Pets, like children, may need to take a break during travel. Be ready for a snack break by packing easily accessible food and water for your dog. This can include a bag of treats, or extra kibble, and an extra bottle of water. Don’t forget that you may need extra food and water bowls when on the go. Consider packing and using collapsible silicone bowls. Be on the lookout for bowls with a carabiner clip, which will allow for the bowl to quickly and easily clip onto a bag if needed. 5. Calming Reassurances: Our dog can get anxious, and we have found ways to calm her. One way is to bring her favorite blanket with on a trip. If she gets upset, we can comfort her with her blanket, or, give her a deep body massage. Both of these options work well for us. 6. Toys: Sitting in a car or crate for an extended period can be stressful or boring for certain dogs. So, don’t forget to give your dog a favorite plaything or squeaky toy with which to pass the time. Some great hotels will provide dog beds, treats, and related pet services for a pleasant stay. 7. 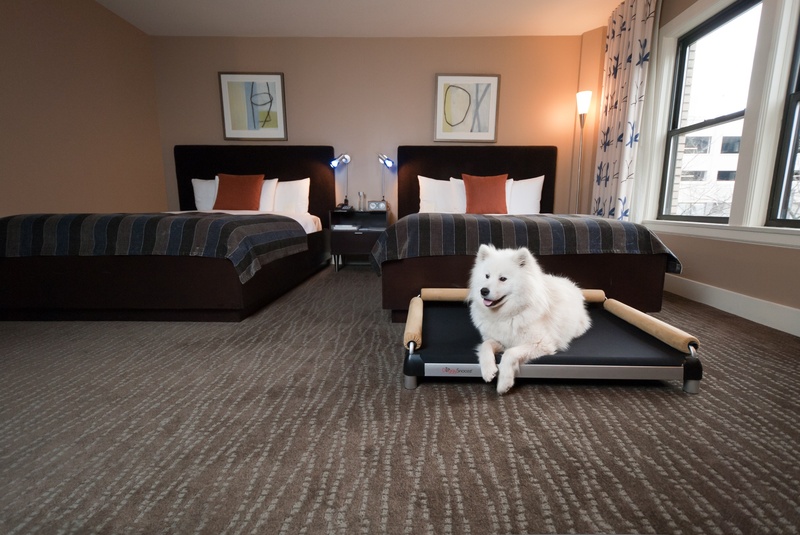 Pet-Friendly Hotels: Pet travel-focused sites such as BringFido.com give travelers plenty of options of great places to stay in various locales, including Chicago! In my past experiences, one hotel has recommended places to walk and dog parks to visit. Another wonderful hotel offered breakfast for our favorite canine. It matters to my children to have snacks, video games, movies, magazines and other sources of entertainment while on the road. I use this same mindset with our dog as well. She needs to be at ease when we are on the road. A great way to serve children and a dog is to stick to a familiar routine. Both like what they know, and that can make our journey, and yours, incredibly pleasant. Learn more about Kendra at her website www.thorntonpr.com, or follow her on Twitter at @KendraThornton. Follow us, Dutch Dog Design online, along with our brand lines to keep in touch! We all wish you safe, happy, successful travels! This entry was posted in Pet Information and tagged dog, Pets, tips, travel. Bookmark the permalink.